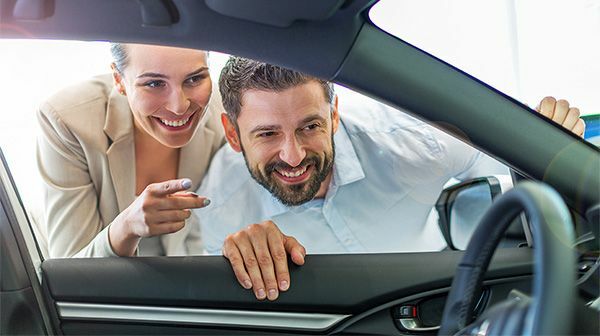 Do you already own a car? Trade in your vehicle and get a credit now! To be eligible for the $350 cash back, you must submit the form and buy a vehicle financed at HGregoire St-Eustache, St-Leonard or Carignan. Details in stores. Balance of 4 years or 80,000 km. Want to try out this vehicle? Choose your date and time to book an appointment! At 81,228 km this 2015 BMW 320I has been driven 12% less than the average vehicle of the same year. If you are not completely satisfied with your car, no worries! We will reimburse you, no matter which car you choose. Thanks to the 30-day exchange privilege, you are protected against major mechanical problems. The manufacturer's warranty may apply to certain models, if it’s still in effect. Alexandre, my sales rep, gave me great advice and I never felt any pressure. I really appreciated that! The friendly staff really knows how to make someone feel welcome. I will most certainly recommend HGrégoire to my friends! I enjoyed my experience at HGrégoire and with my sales rep. Overall, it was fantastic. Thank you! An excellent experience from A to Z! My sales rep was very professional, well-informed, and friendly. I give it a 10/10! We’ve bought three cars here and each time, we’ve appreciated the experience. My sales rep had a great attitude. He was very understanding and friendly! Everything went smoothly! The team was very friendly. I didn’t have to wait: everything was ready when I got there! The service was really good, particularly with the delivery team, Jessica and Korine. I had a great experience! I had a great experience! The staff is really nice. My sales rep was polite, courteous and knows his stuff. It was great! Everyone is really nice and professional. My sales rep was very friendly. Overall, it was an amazing experience! I have bought two cars here and I am really satisfied with the exceptional service. My experience with my sales rep was outstanding! Sell your vehicle without having to buy. You will always get a fair price. Unfortunately, this vehicle is already reserved. Continue searching! We’re sure you will find that one-in-a-million car you’ve always wanted! FOR 48 HOURS AND IT’S 100% FREE! No credit card required! Reserve your vehicle totally free of charge. Within the next few minutes, you will receive a confirmation number by text on your cell phone. Please enter the number in the space below so that we can officially reserve the BMW 320I (938291) for you. Click over the image to activate/deactivate the magnification feature. in less than 5 minutes! For 48h, no deposit and it’s free!